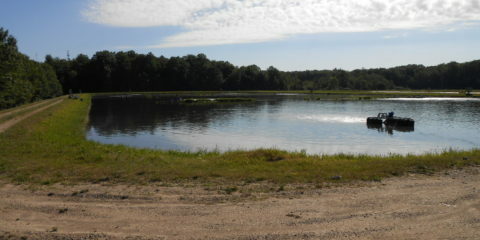 supplemental aeration needs. Simple to install. Easy to maintain. 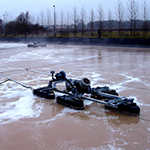 fine bubble aeration, while leveraging your existing equipment. on capital expenses with our custom solutions. generate higher yields with optimal oxygen transfer. 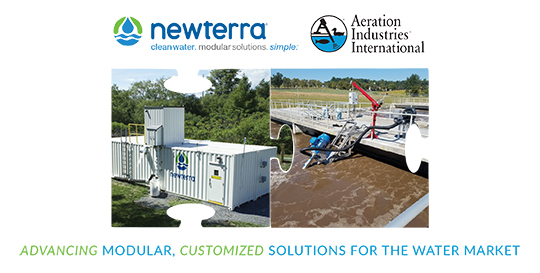 Partnering with municipalities to develop economical, environmentally friendly, and sustainable wastewater treatment solutions; customized for each unique environment. 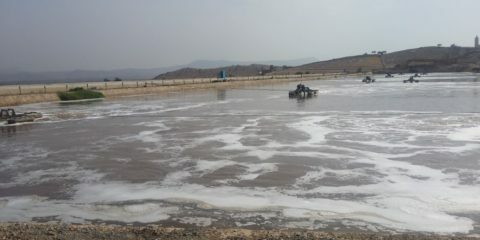 Industrial specific wastewater treatment solutions; from food processing wastewaters to highly complex leachate effluents. 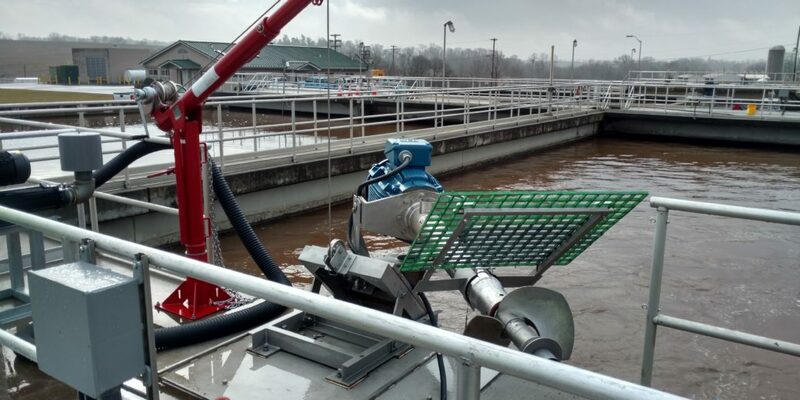 Reliable industrial wastewater solutions offer you peace of mind, so you can focus on production. 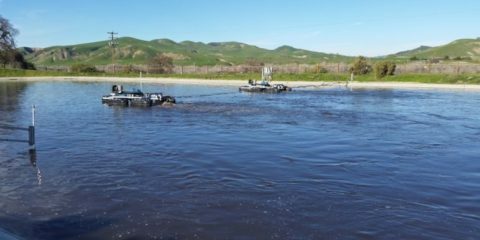 Maintain optimal oxygen transfer levels and consistent water temperature to meet higher aquaculture production goals with our Aire-O2® Series II Aspirator Aerator. Flexible, Reliable, Customized Solutions. 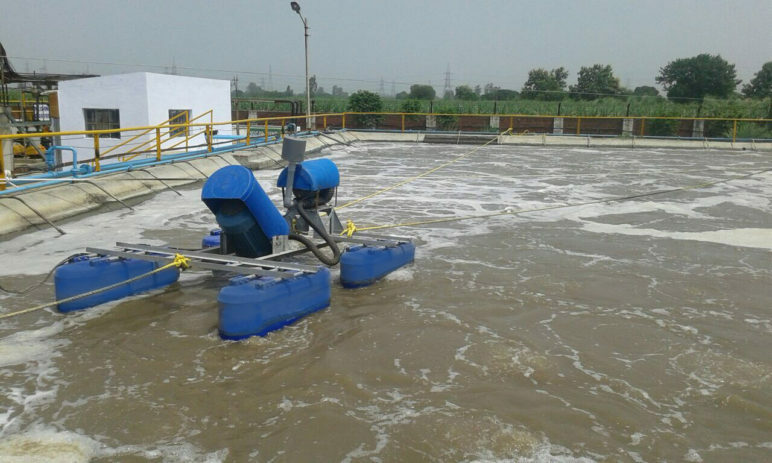 Aeration Industries International has the expertise and reliable equipment to provide a full range of wastewater and aeration treatment solutions to optimize municipal, industrial, and aquaculture applications. Let's partner to create a customized solution that fits your needs . 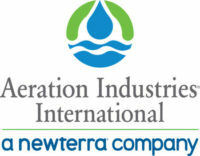 Newterra Ltd. Announces Strategic Partnership with Financier Elevate Export Finance Corp. Brockville, March 19, 2019 – Newterra Ltd. (“Newterra”) is pleased to announce it has entered into a strategic partnership with export financing company Elevate Export Finance Corp ..
Newterra Announces Acquisition of Aeration Industries International Newterra Has Acquired Aeration Industries We are excited to announce that Newterra, a leader in decentralized and modular water, wastewater, and groundwater remediation solutions, ..
Aire-O2 Universal Mount featured in Environmental Science & Engineering Magazine New Mounting System Allows for Easier and Safer Aeration System Maintenance Featured in Environmental Science & Engineering Magazine, February 2018 Edition Through conversation .. 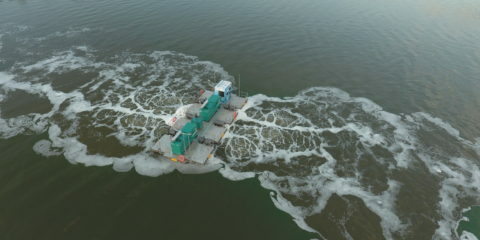 Achieve Performance Requirements by Combining Aeration with Diffused Aeration Systems Aeration Industries International’s Aire-O2 Triton® can bring a struggling diffused aeration basin back up to optimal performance quickly by adding oxygen capacity and mixin ..
Aeration and Mixing Bring Hussain Sagar Lake’s Ecosystem Back to Life Overview Hussain Sagar Lake in India faced an inflow of untreated waste and pollution causing decreasing DO levels and foul odors in the nearby community. 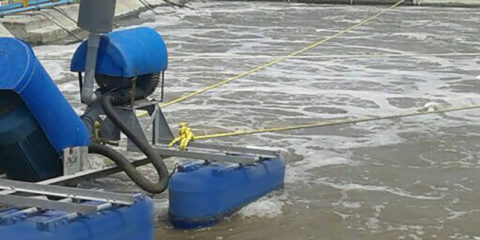 An even more critical thr ..
Aeration Industries International’s Paddlewheel Alternative Improves Mixing, Boosts Yields, and Multiplies Profits Overview: Located in the Banyuwangi Regency of Eastern Java, Rustam Shrimp Farm is the prototypical Indonesian shrimp growing operation. With rectangular, 1,000 squar ..
Danone Bottling Plant Increases Production Capacity with Addition of Aeration without Modifying Existing Infrastructure Overview Aguas Danone de Argentina is a leader in the national mineral and flavored water market, with well-known brands such as Villavicencio, Villa del Sur, Levité, and Ser. 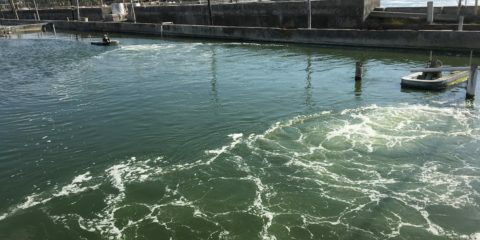 Agua ..
Rag Time in Kalamazoo “The decision for me to choose the Aeration Industries AIRE-02® Antifouling Aspirator unit was a ‘no-brainer.’ I got equipment that doesn’t sink, that reduces staff time for cleani .. 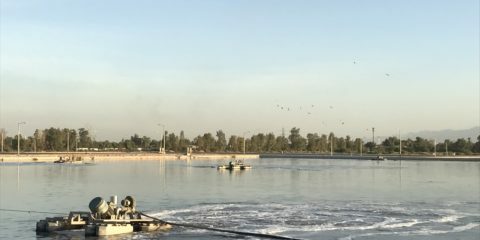 Improved Aeration Eliminates Odor in Mexicali, Baja California, Mexico Overview: The State Commission of Public Services of Mexicali (CESPM) is a Decentralized Public Organization of the State Government of Baja California in Mexico. 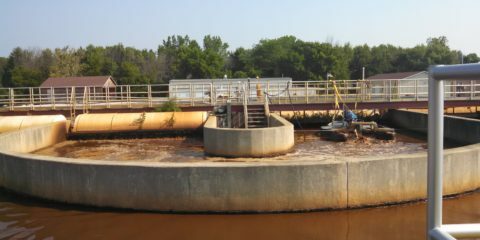 CESPM oversees th ..
Aeration System Upgrade Increases Flow Capacity and Reclaimed Water Availability Aeration System Upgrade Increases Flow Capacity and Reclaimed Water Availability Overview: In 2012, the Middlebury, Indiana, USA Wastewater Treatment Plant (WWTP) was faced with ag .. 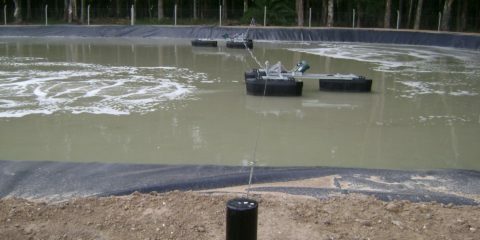 Improving Winery Lagoon Performance & Efficiency Overview A winery in California (USA) faced the challenge of optimizing and treating their wastewater pond in a sustainable manner. The winery had brush rotors frequently breaking .. 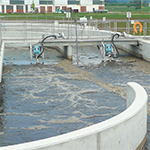 Combining Surface Aeration and Diffused Aeration Improves Chemical Effluent Quality “The greatest advantage we see with the Aire-O2 Tritons, is the aeration tank does not need to be emptied in order to maintain the equipment; saving us both time and ..
Sugar Beet Harvest Simplified with Aire-O2 Tritons Overview: Sucrafor, a COSUMAR Groupe sugar beet processing plant in north east (Oriental) of Morocco, North Africa, designed a wastewater treatment plant to maintain high organic l .. 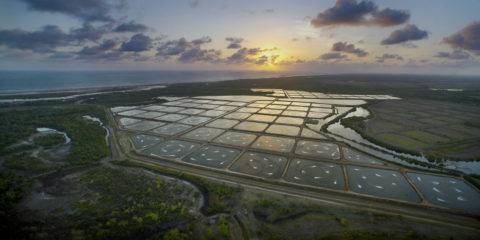 Reliable Aeration Offers Foundation for Growth and Sustainability at Pacific Reef Fisheries Overview: Pacific Reef Fisheries (PRF) has been a valued Aeration Industries International (AII) client dating back to 2003. John Moloney, General Manager of PRF and Vice President ..